Bibliophiles of Dubai are over pampered for choices when it is about quenching their thirst for the quality literature; thus no matter if it is about the classic read or a recently published best seller. Ranging from unseen second-hand bookshops that are crammed with rare finds, to mega bookstore chains that have never-ending bookshelves; the book lovers may find here each and every book they ever look for. Dubai has a literature profusion that is justifiably well-organized, portrayed and delivered by the city to the paramour of books. If you are a book-philic, then Dubai is the right place to dig out your treasure. You may find one of the finest book collection in the book stores in Dubai. These stores offer live reading, issuance and sale. And if you find the prices too high for a new book; then don’t be troubled, because there are numerous second-hand bookshops too, that can provide you an extensive book collection at markedly lower prices; as far as you don’t mind reading a dog-eared piece. You can also buy one of the tourism book from these bookstores to give to someone as a Dubai Souvenir. Here are some of the most famous literary nirvanas that Dubai has given us to put our hands on finding the hidden gems. Ask any book-philic to value their salt of good literature or to find the specific book that everyone is talking about, they will certainly point their fingers in the direction of Kinokuniya. Kinokuniya is a Japanese bookstore chain and is probably one of the biggest book stores of Dubai. The store offers you an enormous book range. You will surprisingly find the gleaming newest copies on their shelves at the prices that surely won’t hurt. Locate the biggest Kinokuniya store at Level 2 of the Dubai Mall, Downtown Burj Khalifa. You will be singing praises once you have been to this eccentric little book café; obviously for many reasons. Bookmunch Café is the sassiest book café in Dubai, encumbered with exceptionally arranged literary nooks, awe-inspiring resto and brilliantly curated book selections. If all in your family are philics for some quality literature, then Bookmunch Café is the perfect place to be visited to enjoy a learning spell. The place provides an equally fascinating selection for mums and bubs; as their kid learning section is likewise wonderful. Bookmunch Café also runs movie and poetry nights along with other fun-doings for bibliophiles. The Bookmuch Cafe provides a unique experience to the readers and one of the recommended book stores in Dubai. You can find Bookmunch café at Al Wasl Square Jumeirah. Waiting for your bibliophiles’ fantasy to come true? Bookworld is the reality to all such dreams of yours along with an extra-plus of great bibliophiles’ community. This enormous book store has piles and piles of second hand books that concealed an unbelievable book collection. You may find each and every book that you might fail to find somewhere else. Find Bookworld at Plant Street, Satwa to buy your favorite book while keeping your wallet heavy and nice. If you’re looking for second hand and hard to find books then Bookworld is among the recommended book stores in Dubai. Bookworm is just the place for every age group. If you have kids, then this bookstore in Dubai is just the paradise for your little voracious readers with an amazing book collection. The place also offers a wide range of audio books and story sessions. Walk-in there on Thursday around 10:30 am and treat your kids with wonderful story sessions organized in amazing Arabic style fairy-lit tents. Head towards Al Wasl Road, Jumeirah for this learning utopia. If you are wandering to save few Dirhams, then go unswervingly to’ The House of Prose’. This is one the favorite place for book lovers of Dubai; as it has made them grinning with its remarkable buyback policy for over 20 years. If you are an admirer of the old-books’ smell and of amiable curls of slightly mutilated pages, then embrace the House of Prose in Jumeirah Plaza, Jumeirah Beach Road or maybe at the Dubai Garden Centre – Al Quoz. Famous for its tremendous customer service, Magrudy’s is the place to find the books that everyone is gibbering about. Laden with numerous in-store fun-happening and promotions; Magrudy’s is also the best place or kids. Your kids may also find some wonderful GCSE and SAT revision and preparation guides flurrying around. Furthermore, if you don’t find what you want; then they can order it for you and also make it delivered to your doorstep. Magrudy’s is located at Magrudy’s Mall, Jumeirah. Book ‘n’ Bean is a little cozy book store in Dubai, that is located oddly inside Ace Hardware store. This place offers a sizable collection of books. It additionally offers you free Wi-Fi and a coffee shop, where you can sit and decide about your next book purchase. Most amazingly, each purchase of a book or a cup of coffee will bring you a free of cost loyalty card; whereas buying 9 books or coffees would bring you a free book. Additionally, returning a second-hand book purchased from Book ‘n’ Bean will bring you a 50% discount for the buying. Placed in a corner of an older shopping mall – Lamcy Plaza; Book Plus has an extensive variety of non-fiction and fiction literature & it is one of the recommended book stores in Dubai. Book Plus is associated with ‘Gardeners’, which is the largest book wholesaler of the United Kingdom. This association allows Book Plus to order a print copy of any British book, free from any extra charges to be delivered in two to three weeks. Book Plus majors in kid’s literature, however you may also find an array of DVDs, magazine, greeting cards and gifts. A highly organized book store with thousands of books alphabetically arranged in huge wrecks, Jashanmal Books is your place to find a rare copy of your heartily desired literary miniature in Dubai. To find a freshly baked copy of a latest best seller, Jashanmal is the place to head on. Located at various other locations, the bookstore located in the Mall of Emirates and the Mall of the Dubai are widely known. Located in Burjuman, Al Jabre Al Elmiah Book Shop is a local book store that upholds a varied book collection. The place has a substantial assemblage of old and new books. It also offers free Wi-Fi services and buyback policy. You can also avail their short-term membership program for discounted prices. 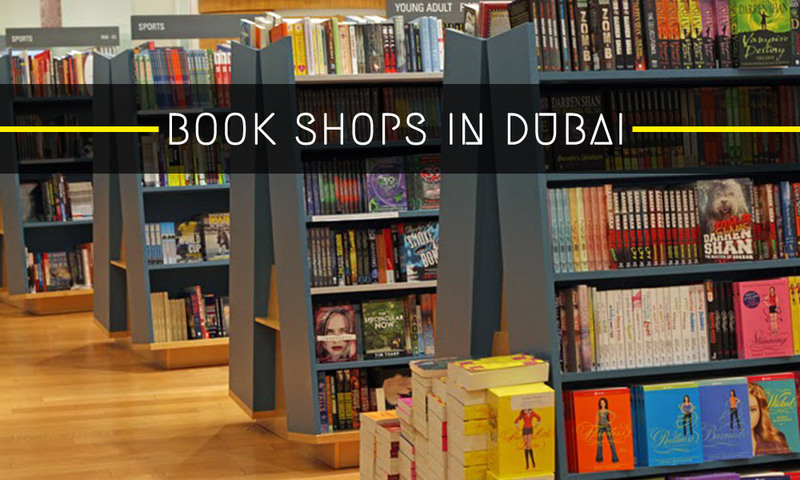 These are some of the most famous book stores in Dubai, that would certainly gratify your literature yearnings. To expand the list, please comment below.